The Silver Ferns coach Janine Southby is promising her team will be more competitive against Australia in next year's Commonwealth Games. The Australian Diamond's convincingly won the final Constellation Cup test in Sydney 58-42, taking a four-nil sweep of the trans-Tasman series for only the second time in the Cup's nine year history. Australia has also now won eight out of nine Constellation Cup campaigns. Southby says there were some encouraging signs during the series but acknowledges it's will take consderable work to threaten the Commonwealth champions in April. "Defensively we picked up alot of ball in the last couple of games and now we just need to convert that. We don't feel all is lost but we know there is alot of work there," she said. 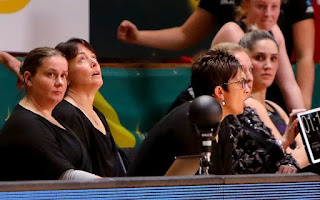 Coach Janine Southby was concerned her team hadn't been able to lift when the pressure went on. "Our start was really strong but when the intensity lifted, we didn't, and that's a big work for us," she said. "I think we just lost the connections - it's something we've identified really early on in the piece, and we've been working hard on. "We've got a lot of work to do and we're really aware of that. "In the early part of the series we weren't getting enough gains, and now we've got the gains we're just not treasuring possession. "I think we all need to go and take a really hard look at ourselves - we've got a lot of work to do over the next couple of months." 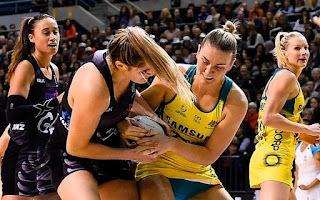 Meanwhile captain Katrina Grant says she firmly believes the Silver Ferns can still take gold at next year's Commonwealth Games. Grant says the Australian clean sweep is tough to take and acknowledges the Ferns have a busy few months ahead if they are to beat Australia. 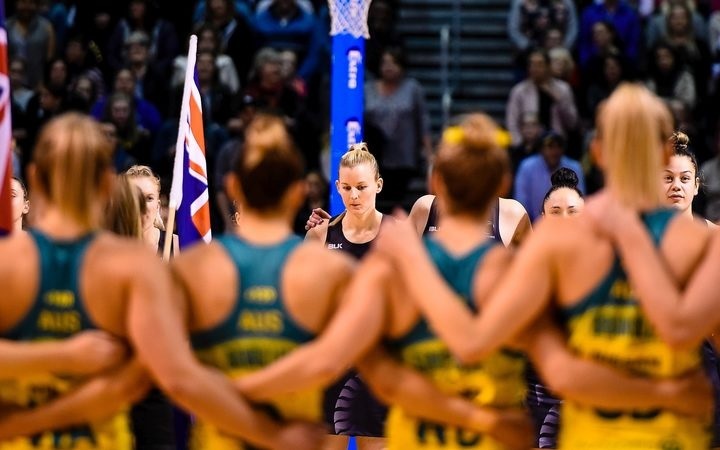 But Grant says the gap is not as large as the series results suggest and the Ferns still believe they can take gold in Brisbane. "100 percent - we have to be confident knowing we can do that. We are athletes - very competitive athletes - what is the point in going there (to Brisbane) if you don't have confidence in yourself and in your team to win a gold medal." "We back ourselve to learn from this, to grow from this and to do a lot of work between here and April to get it right."